Expelled AIADMK Rajya Sabha MP Sasikala Puspha on Sunday opposed party chief V K Sasikala becoming the Tamil Nadu Chief Minister, alleging she had a “criminal background”. Pushpa was apparently referring to the disproportionate assets case against late chief minister Jayalalithaa in which Sasikala was a co-accused and convicted by the trial court in Bengaluru. The Karnataka High Court had set aside the conviction. An appeal challenging the acquittal is now pending before the Supreme Court. “The then Chief Minister (J Jayalalithaa) not even proposed her (Sasikala) as a candidate when she was in hospital. When she will be Chief Minister of Tamil Nadu, there would be law and order problems,” she alleged. She urged Modi and Rao “not to recommend or invite Sasikala to be Chief Minister of Tamil Nadu”. 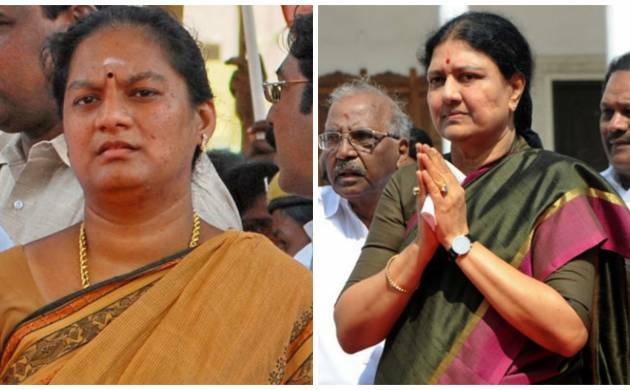 Pushpa had recently filed a complaint with the Election Commission claiming that the election of Sasikala as AIADMK General Secretary was not done as per procedure, following which the panel had sought the party’s response.